Fans of the outdoors char grill will chuck pretty much everything savoury on a barbeque, but when it comes to desserts, for many parties it's often the end of the open fire and back to pavlovas or cakes. 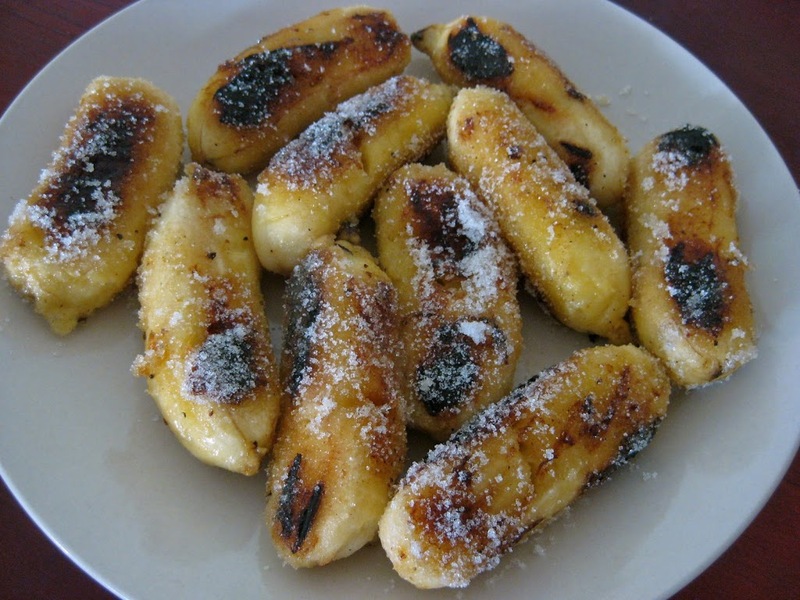 This Cambodian banana recipe is the perfect way to end the barbeque without changing the atmosphere - when the sausages and steaks are done but guests still have just a small corner of their stomachs empty and are hankering after something sweet, instead of a shrimp or a snag, chuck another banana on the barbie instead. Not only is this dish convenient (wrap the bananas beforehand, set out a bowl of the sauce and guests can make their own dessert) but it is healthy, with very little processed sugar. Coconut is the latest darling of the diet and health industries, with its oil now believed not to contribute to high cholesterol, but actually help reduce it, according to some experts. Coconut oils also possibly have the ability to combine with other nutrients and assist their absorption. Cambodians have far more varieties of this perennial fruit, the humble banana, to choose from than most cooks in North America, Europe or the Andipodes and they would probably opt for a small, sweet yet firm variety for this dish, such as lady fingers, although Cavendish bananas are certainly fine. This is a great kid's dessert with virtually no washing up involved and also goes well with after dinner drinks - all without taxing a tired cook who just wants to sit down and relax. With or without the sauce, it is also a wonderful idea for camping trips and the cooled bananas make great next-day snacks, too. Peel bananas and wrap each in a strip of banana leaf, pig-in-a-blanket style, with ends exposed. Grill on barbeque over low coals until the leaf and bananas get some color and soften but are not mushy. Cover bananas with foil or another banana leaf and press down, flattening slightly, and remove from heat. Take off wrapping and set bananas aside for serving. Mix coconut milk, sugar, salt and cornstarch mixture together in a heavy-bottomed saucepan. Allow to come to a low boil, reduce heat and simmer until ingredients are incorporated. Serve trickled over grilled bananas.